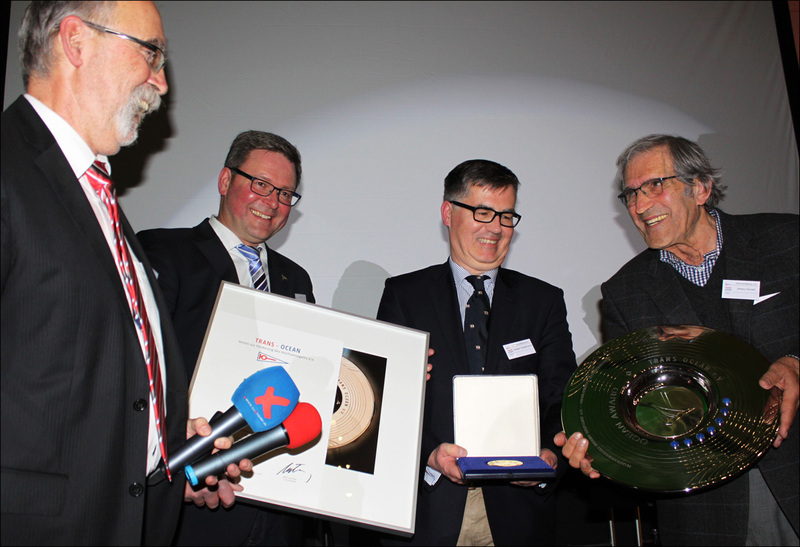 At a ceremony held in the German port of Cuxhaven on Saturday evening, Martin Birkhoff, the President of Trans-Ocean Club, one of the largest cruising clubs in the world, presented Jimmy Cornell with the prestigious Ocean Award in recognition for his services to the international sailing community. The ceremony was attended by about 250 club members. 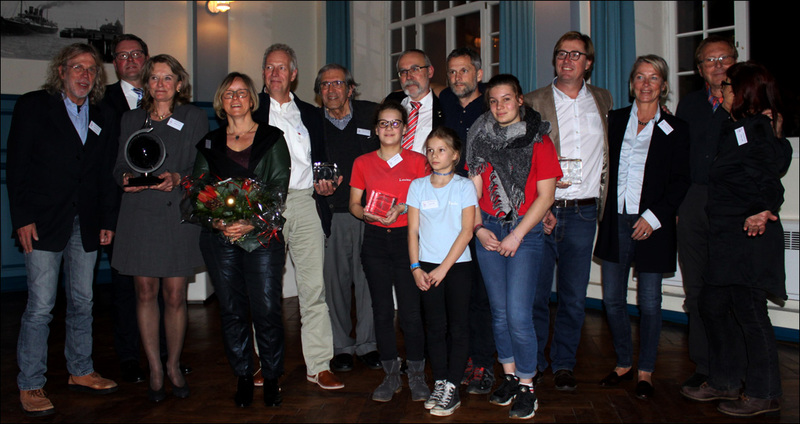 Five members and their partners were presented with special awards for completing a circumnavigation of the world in 2017. 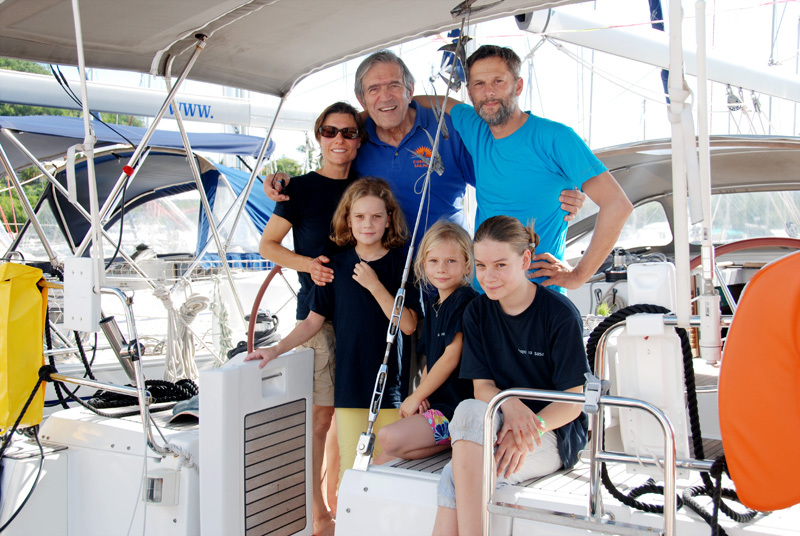 One of the winners was the family Goth, who had sailed in the Atlantic Odyssey in November 2014 on the yacht Hapa na Sasa, and continued from the Caribbean all the way around the world. Constantin Goth and his wife Urte were accompanied on the 33,000-mile voyage by their three daughters Paula, Louisa and Franka, seen in the centre of the group.